The latest book by CLAS researcher Claire Taylor, in collaboration with her co-author Thea Pitman, of the University of Leeds, has just come out. 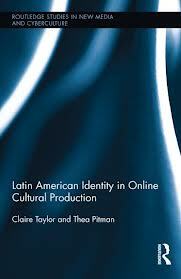 Entitled Latin American Identity in Online Cultural Production and published with Routledge, it focuses on the transformations or continuations that cultural products and practices such as hypermedia fictions, net.art and online performance art, as well as blogs, films, databases and other genre-defying web-based projects, perform with respect to Latin American(ist) discourses, as well as their often contestatory positioning with respect to Western hegemonic discourses as they circulate online. You can purchase a copy of the book, and also recommend it to your librarian, from the publisher’s website. Petra Sterry, a visual artist from Vienna, came to Liverpool last month to carry out a workshop with our second-year students of German. The workshop was based around her present international project ‘Nadaistics’. In Spanish and Portuguese, ‘nada’ is the word for ‘nothing’, while in Slavonic languages the root ‘nad’ means hope. In the workshop, Petra explored the question of what nada or nad meant for each individual. 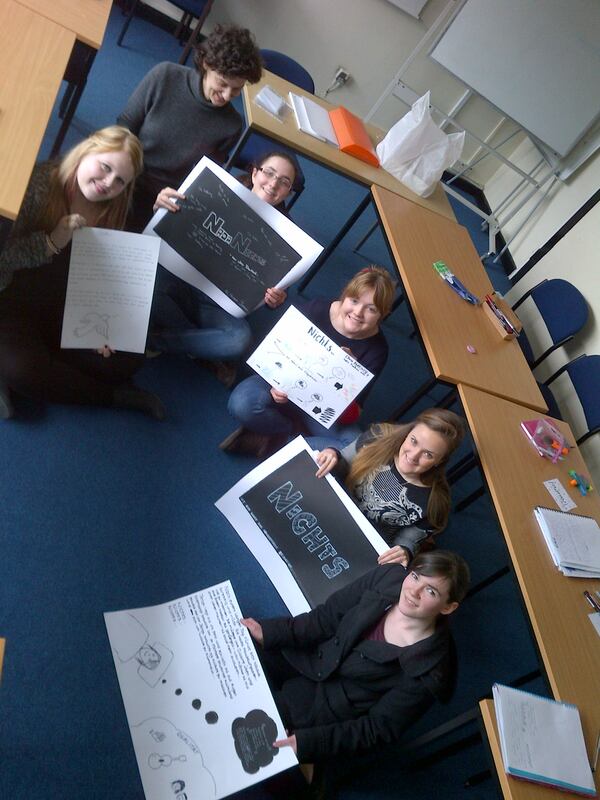 Participants worked with their own ideas, producing texts and drawings. Petra was delighted with the work that our students produced, which ranged from texts to graphics and even music (see photographs). 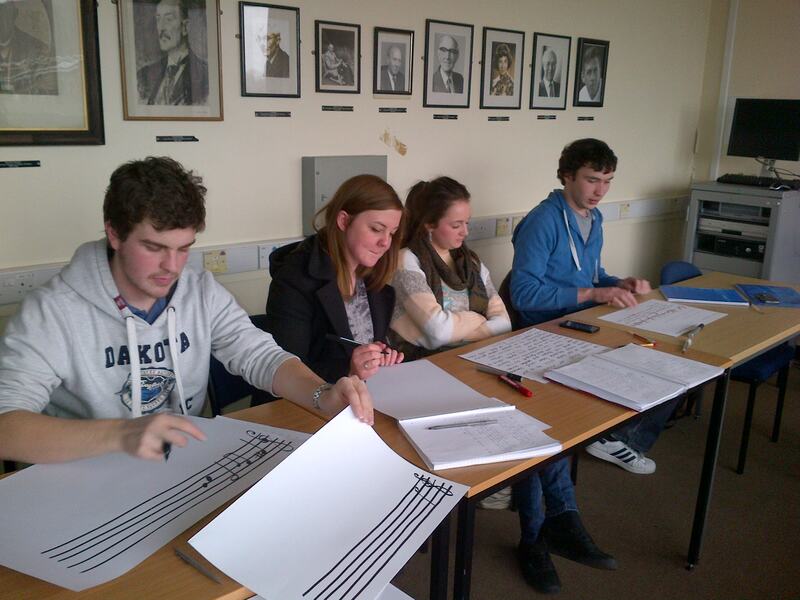 Their work can be seen presently on the German Section’s notice boards on the 3rd floor in the Cypress Building. A selection of this work might in the future become part of the ‘Nadaistics’ archive, and be presented on Petra’s project website. As well as giving students an opportunity to work with a professional artist, the workshop also proved to be an innovative way to teach German vocabulary and language skills. The project was held in collaboration with the Austrian Cultural Forum, London and the University of Liverpool. Find out more about Petra Sterry here! Gerry McAuley completed his BA in Hispanic Studies and Philosophy in 2011 at the University of Liverpool. He then stayed on to study for a Master’s degree in Modern Languages, for which he won a scholarship from the AHRC. Gerry reflects on the highlights of both his undergraduate and postgraduate career at Liverpool, and tells us how it helped him to secure a competitive job as a headhunter in a search company. 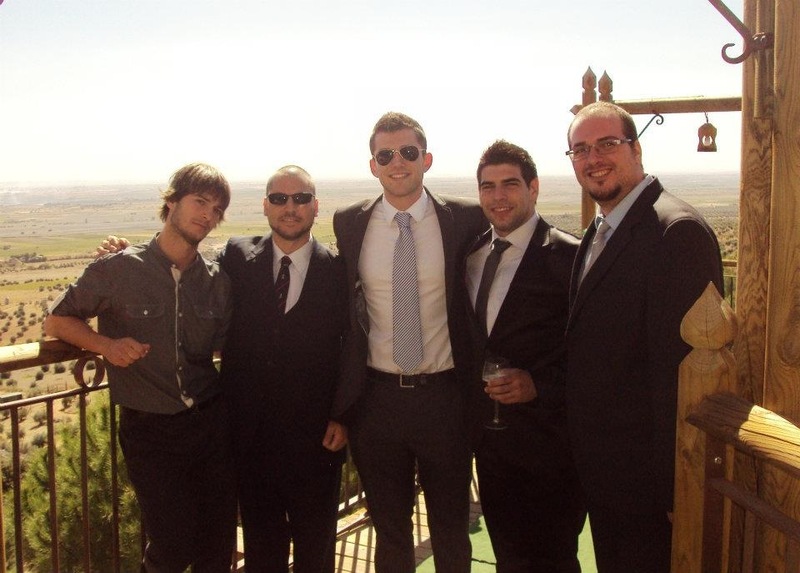 One of the highlights of my undergraduate degree was my year abroad, where I worked as a British Council Language Assistant in a school in Albacete, Spain. I had a fantastic year and made many life-long friends who I still see once or twice a year either in Spain or in the UK. Those relationships are invaluable and, if nothing else, give you a much more varied and interesting perspective. The other benefits of the year abroad are numerous but I’d like to highlight some of the more unexpected ones: a heightened appreciation for British culture, and the realisation of just how important it is to focus on relationships with family and friends, as being away for a long time tends to make you realise how central they are to your long-term happiness. 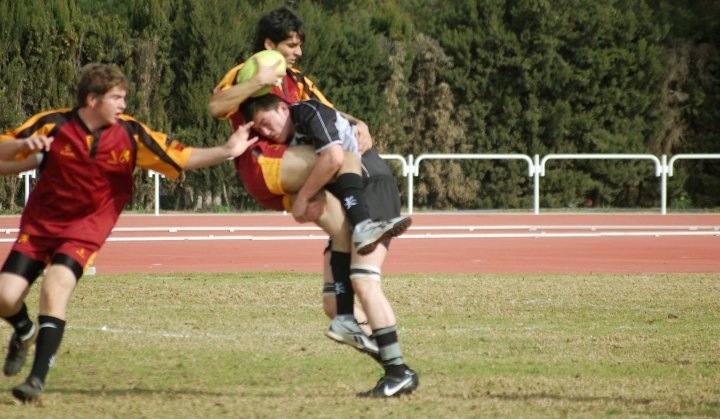 My Spanish ability improved massively too and I’d recommend taking up a sport as a way of meeting a lot of people. The year abroad is also fantastic for setting yourself apart and gives you something interesting to talk about in job interviews, particularly if, like me, you were doing two or three jobs while out there. employer, as you can open up access to millions of people. I love my job as it constantly challenges me and I am always learning new things. Thankfully my view that having a Master’s would set me apart in the job market has proved to be correct – I was able to secure a position before graduating, and the skills developed in my MA contributed greatly to this. It’s very easy to demonstrate you’re self-motivated and organised, in addition to being able to bring high-level analytical skills and a language to the business. I’d advise anyone considering studying a language at the University of Liverpool to go for it. Aside from the benefits of improving your language abilities, Liverpool is an absolutely fantastic city. Several of my friends have ended up staying in Liverpool as it is just a great place to live, and I intend to settle here for good in a couple of years. Learning a ton of stuff about something which interests you isn’t the only benefit of university — the effect it has on your life both personally and professionally is what makes it so worthwhile. 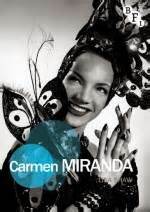 Dr Lisa Shaw, Reader in Brazilian Studies, has recently published a book on the film star Carmen Miranda, for the new BFI-Palgrave series Film Stars. Carmen Miranda was not only the first Latin American star to be invited to imprint her hands and feet outside Grauman’s Chinese Theatre in Hollywood, she was also, for a period, the highest paid female star in the US. Lisa Shaw’s study of Miranda’s film career and star persona traces her emergence as one of the first stars of the Brazilian film industry and her subsequent triumph in Hollywood. The book charts Miranda’s transition from singer to film star, analysing how her star persona drew on performance techniques honed during her singing career. 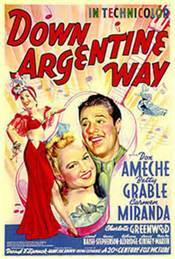 She examines shifts in Miranda’s star identity after her move to Broadway in 1939, and Hollywood a year later, with her identification as an ‘ethnic’ star emphasised by extravagant baiana costumes. during the era of the ‘Good Neighbor Policy’, and explores Miranda’s appeal across mainstream and marginalised audiences, both in the US and Brazil. Finally, she considers why Miranda’s image is still instantly recognisable, examining her impact on material culture, particularly women’s fashions, both during her lifetime and until the present day, and the role played in the consecration of her ‘tropical’ star persona by imitators, ranging from Bugs Bunny, Lucille Ball and Mickey Rooney, to contemporary Carmen Miranda imitators of both genders. The book has already received significant attention in Brazil, where the magazine Istoé Cultura has recently publicised the book in an extended article. Dr Shaw has also marked the publication of the book with an article for the BFI website, where she writes about her five favourite Carmen Miranda films. In the prologue to one of his books of poems, suggestively entitled “Una poesía de confluencias”, the Guatemala-Maya-K’iche’ poet Humberto Ak’abal explains: “El castellano que uso como puente de comunicación tiene como base la cosmogonía de mis raíces. El bilingüismo me ha dado la oportunidad de ver mi entorno desde otra perspectiva […]”. As his words indicate, while his Mother Tongue is Maya-K’iche’, he has felt the need to translate his work into Spanish in order to communicate his world. But Ak’abal has had to undertake a previous operation, which could also be described as “translation”: to express – read and write – a world that is characterised by an epistemology that is different from that with which most of his readers are familiar, which forms part of and is nourished by a natural language. In other words, it is an expression of the world that relies heavily on a highly poetic language. The purpose of the paper is to try to delve into the complex relations that what has been outlined above implies and, in particular, analyse what it means to talk about nature’s expressive capacity. Another and slightly longer version of this study, which compares aspects of Ak’abal’s poetry with similar aspects in the novel Los ríos profundos by the Peruvian novelist José María Arguedas, has also recently been published. It is entitled ‘Un mundo sonoro: naturaleza, lenguaje y resistencia en la poesía de Humberto Ak’abal’ and appears in José Carlos Rovira and Eva Valero Juan (eds. ), Mito, palabra e historia en la tradición literaria latinoamericana (Madrid/Frankfurt: Iberoamericana/Vervuert): 133-151. 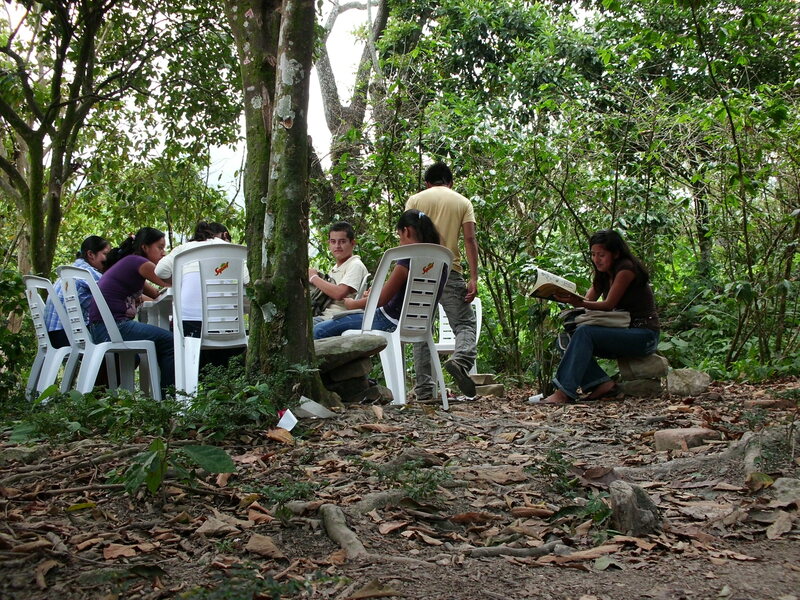 Could you work for a few weeks as an English language assistant at a rural school? Colegio Paulo Freire is an independent high school (16-19 years) based in Huehuetla, a rural community in the highlands of Puebla. Huehuetla is the name in Náhuatl given by the Aztecs, meaning ‘the old place of old folks’, but its name in Totonaco is Kgoyom, which means ‘assembly of the parrots’, and when you hear the local birdsong, you will understand why! You might even learn some Totonaco! Everyone at the school is a volunteer. Some practical help can be provided by Lucia Brandi if she is in Mexico, or you can be put in touch with other volunteers in Puebla who can advise you further. Staff and postgraduates in the Department of Cultures, Languages and Area Studies of the University of Liverpool are collaborating with colleagues at the BUAP (Benemérita Universidad Autónoma de Puebla) to support Colegio Paulo Freire. We can also help you apply for a small travel grant which may defray some of the costs of volunteering. For more information, please contact Lucia Brandi (Lucia.Brandi@liv.ac.uk) or call 0151 794 3081.